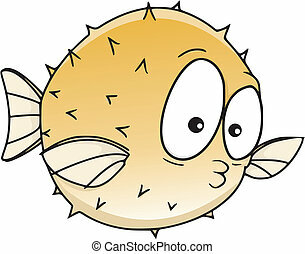 Blowfish underwater. 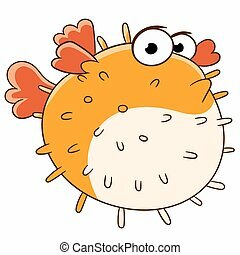 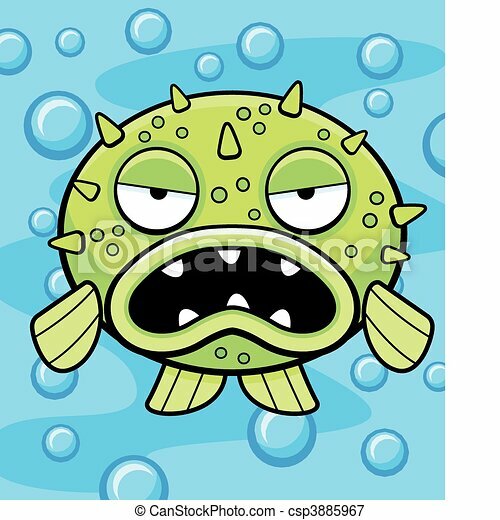 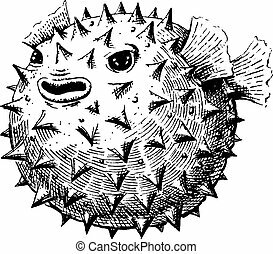 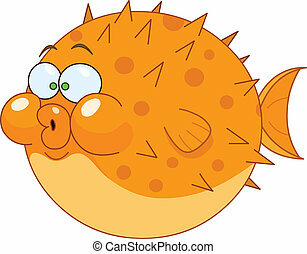 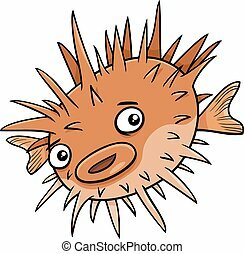 A cartoon blowfish with an angry expression. 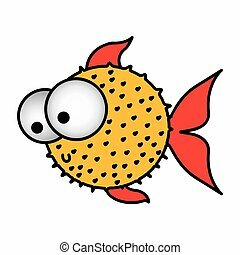 Adorable yellow blowfish with big shiny eyes. 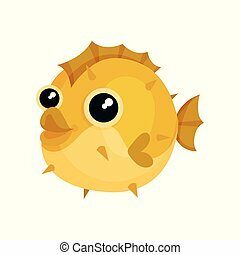 Sea animal. 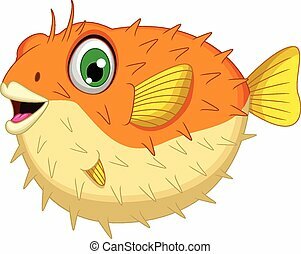 Small exotic fish. 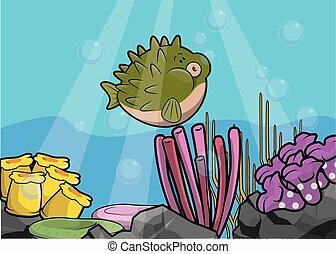 Underwater life theme. 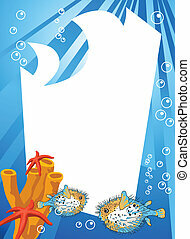 Graphic element for children t-shirt print. 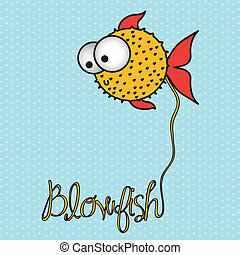 Colorful flat vector icon isolated on white background. 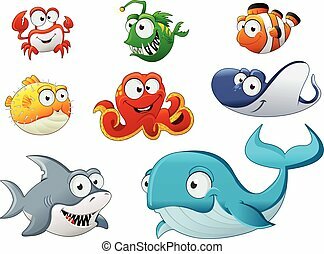 Group of cartoon underwater animal. 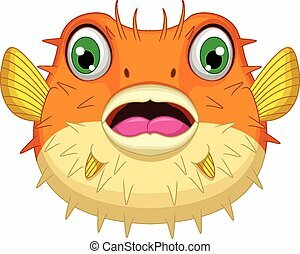 Cartoon fish under the sea.